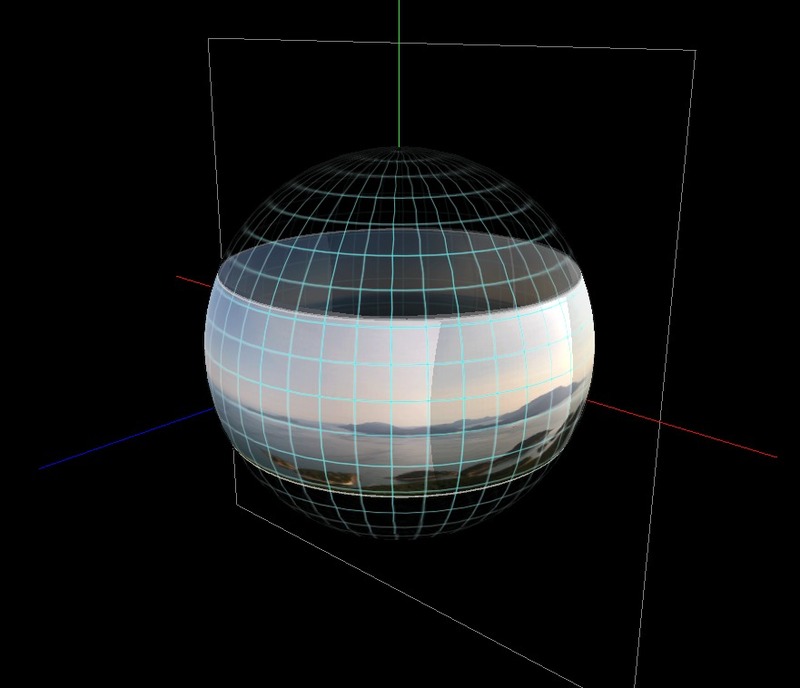 Primary Activity: Create photospheres using flying camera platform. Navigate this article set with the arrows and drop-down menus at the top and bottom of the pages. Because photospheres are a new topic, and because I created my photospheres with a quadcopter, another new topic, I think some explanation is in order. Strictly speaking, because my drone's camera can't look above the horizon, the quadcopter photospheres I create might be more accurately called "photo-hemispheres," but despite the fact that I've decided not to use that term, a true photosphere has no gaps, top to bottom, left to right, full circle — a geometer would describe it as having a solid angle of 4$\pi$ sr (steradian). Photos of the Fourth Kind: "aerial photospheres," photospheres taken from a quadcopter, at a location in space of the photographer's choosing. For landscape and terrain photography, this 3D positioning ability greatly increases the beauty and value of the images, for reasons given below. First, I cruise to a pretty Alaska site and anchor my boat in a relatively stable location where the boat won't be moving very much. Then, from the top of my boat, I launch my camera-equipped quadcopter and make it ascend to a suitable altitude. Then I record video footage of a number of full horizontal quadcopter rotations with different vertical camera tilt angles, all with suitable overlapping areas. Then I recover the quadcopter, hopefully without crashing it into the boat, the water or the landscape. 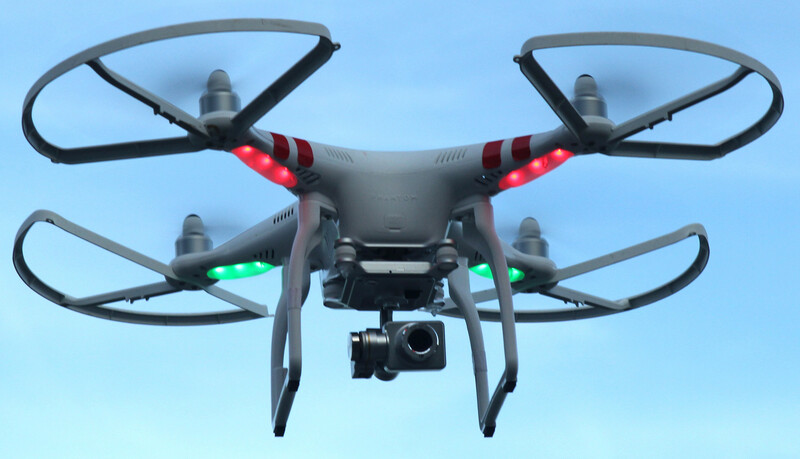 On a windy day, while at anchor, the boat and the quadcopter can be in constant relative motion, so quadcopter recovery may be much tricker than launching. 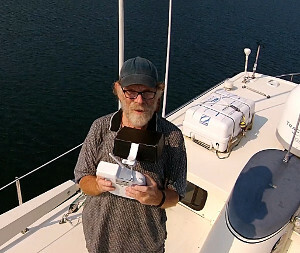 In those circumstances I fly the quadcopter as close as I dare without letting it collide with some part of the boat, then grab it out of the air. Then while viewing the resulting video, I capture many still images from the video player software, again making sure the images overlap with neighboring images. At this point I have a set of images that overlap both vertically and horizontally, so an image stitching program can assemble them into a photosphere with all the images in the right relative positions. For the stitching step I've been using Hugin, which is free and comes preinstalled in typical modern Linux distributions (and is also available for Windows). There are a number of tricky issues at this stage. Sometimes the images I capture don't have enough horizontal overlap, which prevents Hugin from correctly detecting their relative positions, so I have to recapture images from the video again. Or maybe I didn't allow enough vertical overlap in the original video recording, which is much more serious — it means I have to start over at the beginning, with the quadcopter flight and video capture from altitude. If all the above steps are performed carefully, the results can be very impressive — for the first time I have images of Alaska landscapes that do them justice, images that are more like "being there" than a normal photograph allows. Readers should realize the dramatic images shown in this article set result from both the photosphere method, plus the big advantage of using a quadcopter to position the camera at a suitable altitude. Apart from the dramatic images, aerial photospheres provide a lot of useful information I've never had before. In a number of cases I arrived at a location I had visited in years past, then created a photosphere as a first step. Then by examining the photosphere I became aware of trail routes I hadn't been able to see from the ground, or saw boat navigation routes and obstacles not visible from the boat itself. 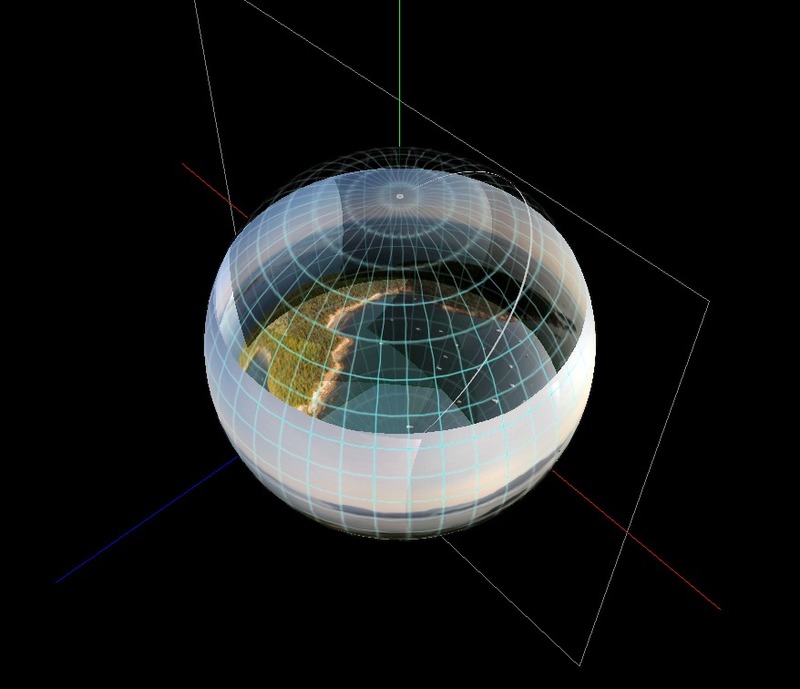 In this article set I include examples of both kinds — examples where the photospheres educated me about the environment in ways not previously possible. Important: This article set includes a selection of my favorite Alaska aerial photospheres. For a much larger collection of photospheres from Alaska, Canada and Washington State, be sure to visit my Photosphere Gallery page.